This won't be like my typical reviews because I only review Black Panther comics here. Yep, your powers of inference are indeed strong. There is no Black Panther in this book. 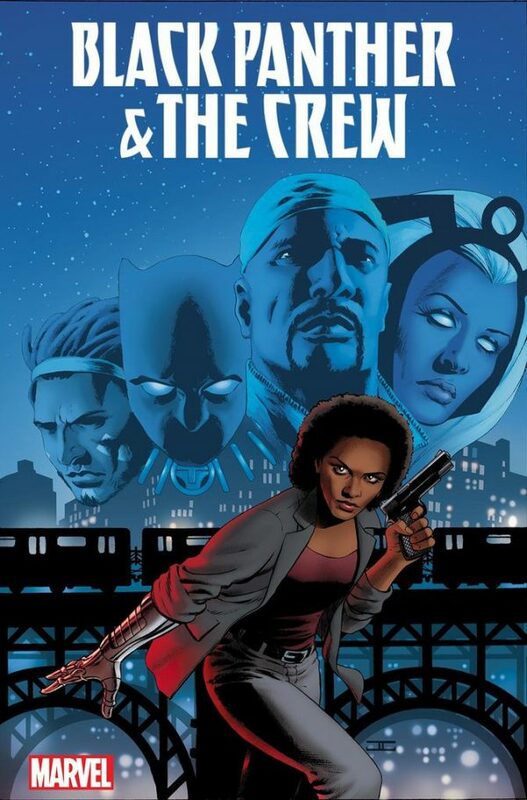 There is no Black Panther in Black Panther and the Crew #1. Not a single word. Not a single panel. Not a single mention. - Start with a flashback to the original crew. No, not the Priest version, but a new group we haven't seen that predates them. - Back to the present time (which may predate the Crew's appearance in Black Panther book actually and seemingly predates Captain America: Sam Wilson) and black dude who lead old crew Ezra died in police custody. - Insert typical riots/corrupt police/shadiness/black community leaders/ect. - Misty is still on the side of the law but sees something is up. - Misty and Storm are attacked by Americops. Storm takes them out. So yeah, Misty Knight solo confirmed? If you like Misty or... "Blue" (Storm, lol) then this may be for you. But if you are reading for T'challa or Cage... they ain't here. I'm starting to not like Ta-Nehisi Coates take on back panther. I think the only reason why it has black panther in the title is just to sell now.